This system is designed to become the industry standard for foundation bracing and shoring. 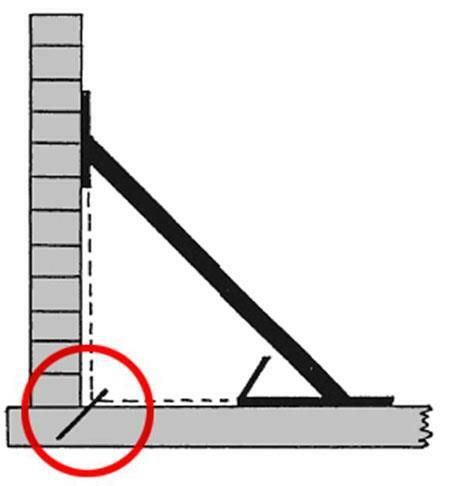 The Footlock Bracing System will truly revolutionize the way you brace a foundation. The use of the Footlock Bracing System will save you time, labor costs and material costs will providing superior strength and support over traditional lumber bracing. 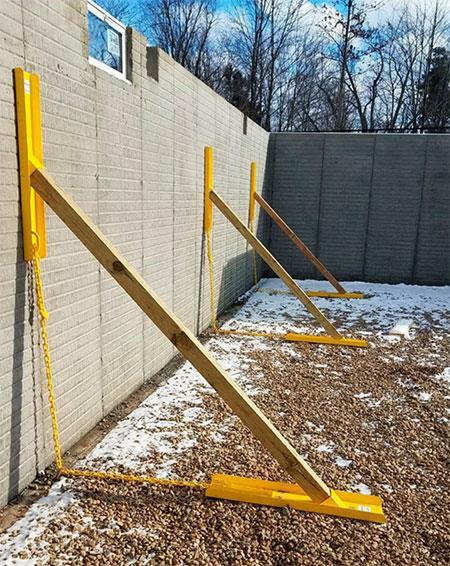 Why have a foundation cluttered with lumber bracing when you could have a tidy and safe work environment using the Footlock Wall Bracing System? 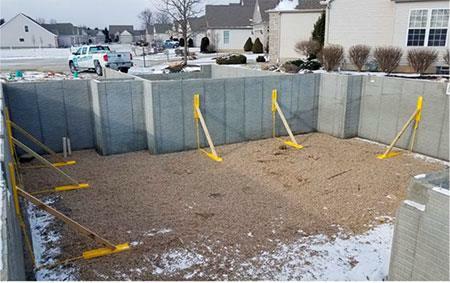 The Footlock Wall Bracing System can greatly reduce the risk of stress-cracking in the foundation during backfill. 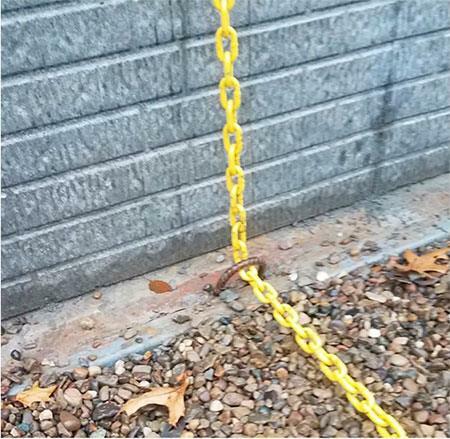 Simply have your mason or poured foundation company install the #3 rebar footer loop at a 45 degree angle leaving approximately 3" of the loop exposed to allow adequate room for our hook and chain to easily pass through.